Haitang Bay Gloria Sanya has won three awards consecutively in month of January 2013 since its soft opening in September 2012. These three awards are presented by highly recognized media and support from the public. 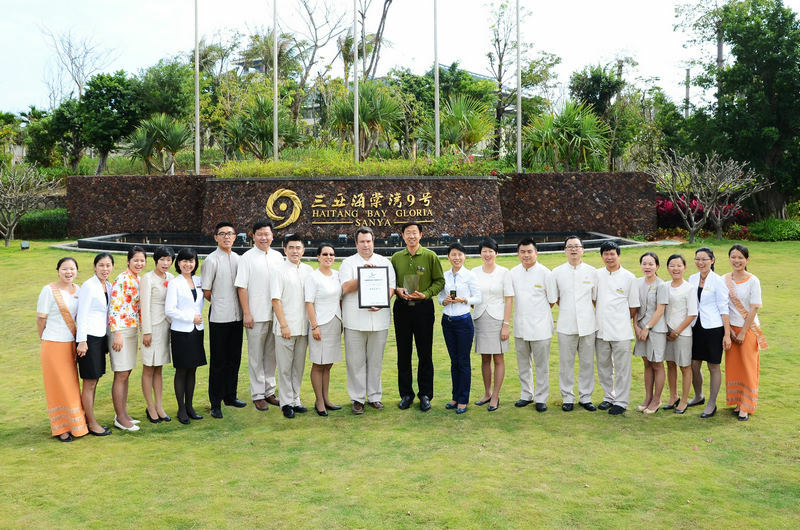 Hotel has won “The Best Beach Resort” by the Voyage magazine, “The 2012 Golf Elite Most Favorite Resort” by Shenzhen Special Zone Daily and BCTS Travel Service, and “The 2012 Best New Opening Hotel” award by Travel & Leisure magazine, Travel & Leisure Golf and Travel &Leisure Net. Haitang Bay Gloria Sanya is a luxury integrated resort located at the alluring Haitang Bay – China National Coast. Hotel exclusive facilities include in-room and out-door hot spring, beachfront golf driving range, Marina, Teppanyaki and etc. Haitang Bay Gloria Sanya aims at providing excellent, and inspirational total resort experience in term of premium guest room, upscale dining selections, comprehensive MICE solutions and top class recreational and entertainment services, consistently exceeding guest expectations. The Haitang Bay Gloria Sanya is the flagship of the Gloria group and luxurious resort, located along beautiful Haitang Bay’s National Coast, facing the Wuzhizhou Island Diving Area. Hotel is 40 minutes drives from Sanya Phoenix International Airport, Sanya city center and other touristic attractions. Hotel consists of 449 elegantly appointed guestrooms and suites, and a choice of 9 restaurants, bars and lounge, a 1,080 sqm pillar-less grand ballroom together with10 multi-function rooms and a total of over 7,000 sqm private lawns. With genuine and natural hot spring water in all guest room, and equipped with 12 different treatment hot spring pools around the garden areas, 2 floodlit tennis courts and a world class SPA center; Haitang Bay Yacht Club and the PGA golf driving range are also the exclusive facilities provided by the hotel. These exclusivity and specialties has undoubtedly made the Haitang Bay Gloria Sanya “a good place to be!”.